Feature beautiful wood with reliable durability in your dining room by choosing this Lancaster Table & Seating solid wood live edge dining height table with antique slate gray finish. Coming with an attractive table top and compatible dining height base, this set provides you with everything you need to set up and complete the look of your dining area. It's sure to add a rustic element with contemporary flair to your restaurant, bistro, or bar! This table also features two live edges that create a rustic look and capture the natural beauty of the tree it was harvested from. 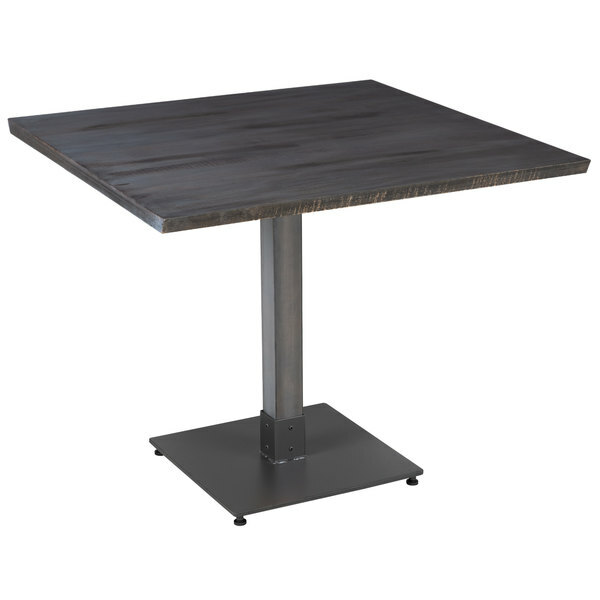 The antique slate gray finish modernizes the look of the 1 1/4" thick European beech wood grain and gives the table a contemporary hue.